Chinese wintergreen leaf essential oil. Also known as gaultheria essential oil. Species: Gaultheria procumbens L. Family: Ericaceae. Class: Phenolic ester. CAS: 68917-75-9. Aromatherapy uses include massage oil and room diffusers. Wintergreen essential oil is widely used to control mites in bee hives. 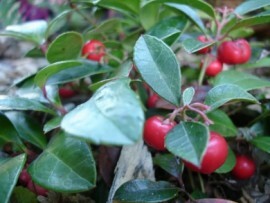 Article: Health Benefits of Wintergreen Essential Oil.